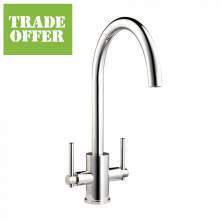 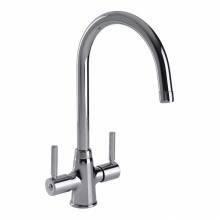 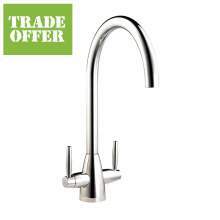 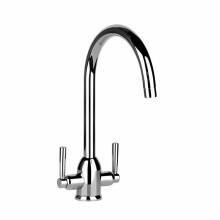 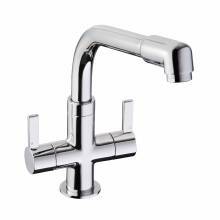 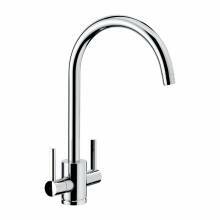 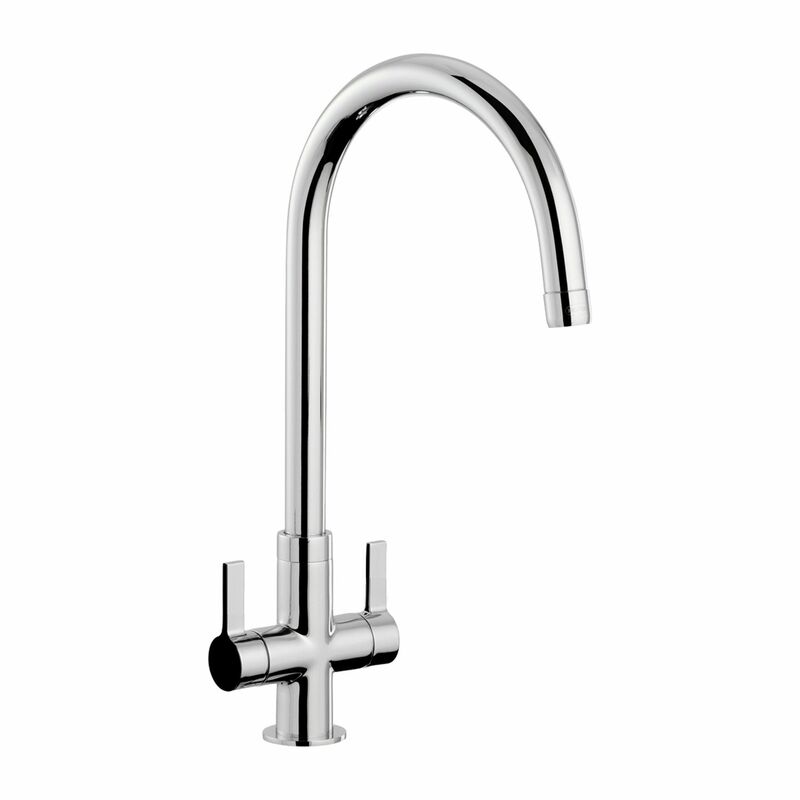 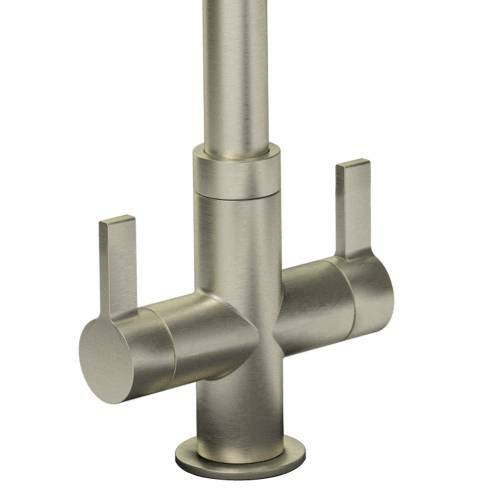 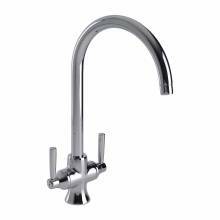 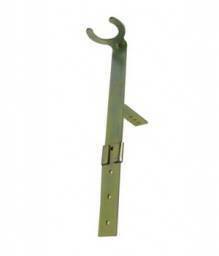 Bluci Cigno Twin Lever Monobloc Tap in Chrome & Brushed finishes. 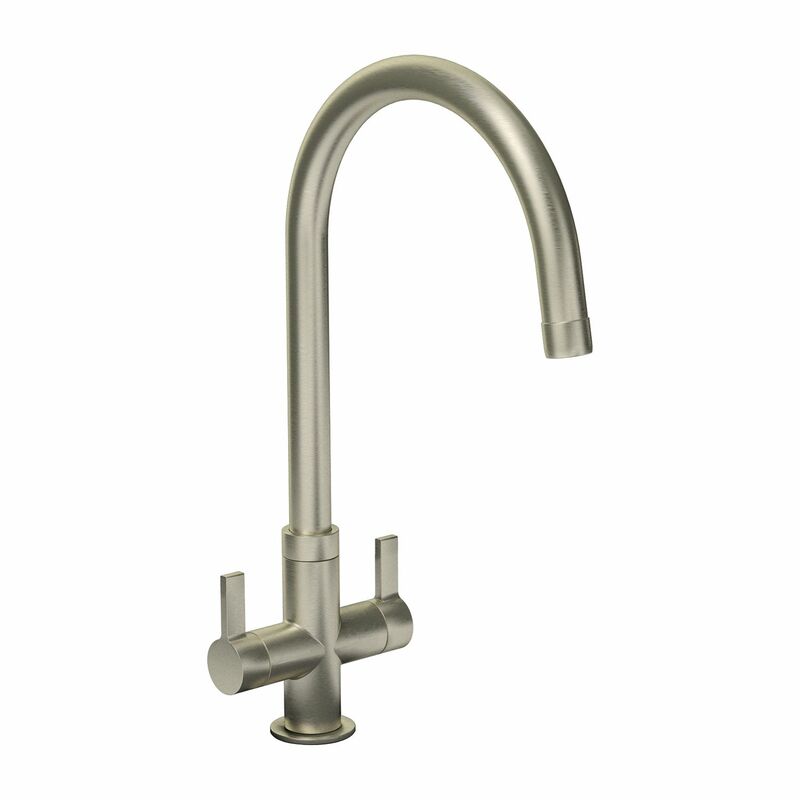 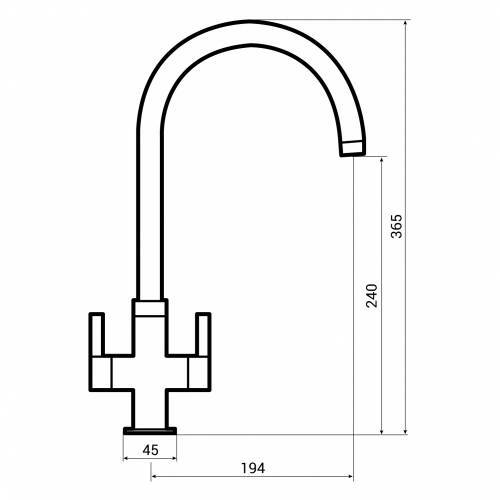 The Cigno is a super stylish twin lever tap. 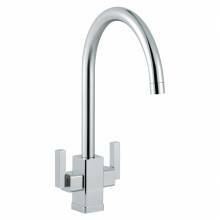 Its sleek design and contemporary styling looks reassuringly expensive and will provide your kitchen with a focal point that is sure to compliment any kitchen design whether modern or contemporary.